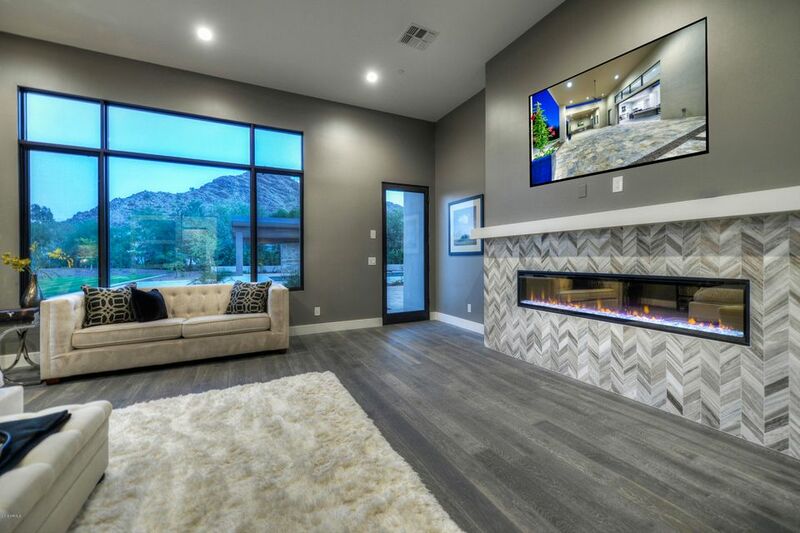 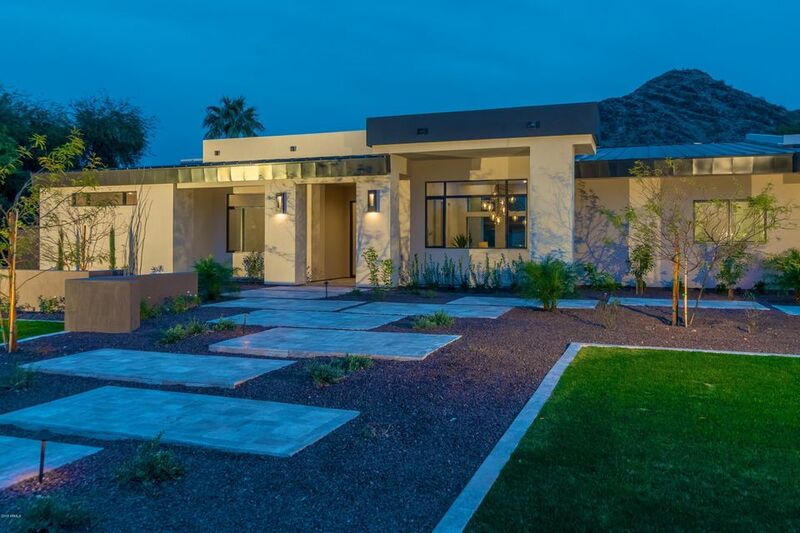 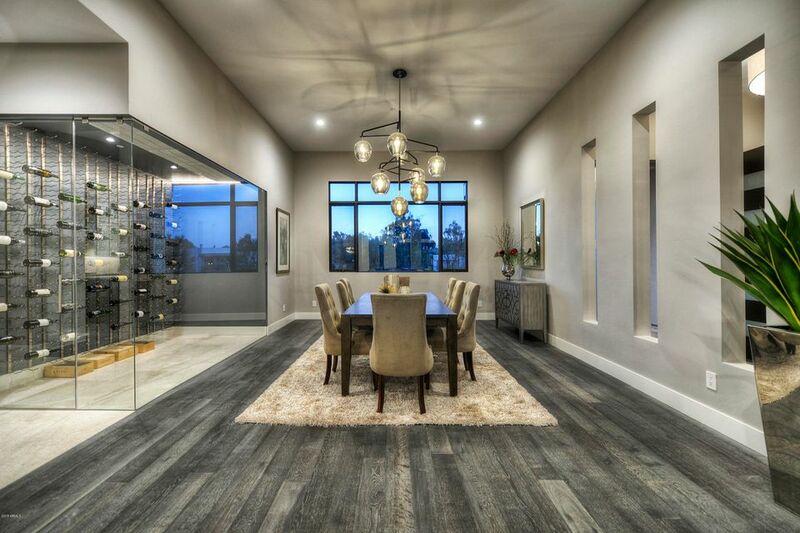 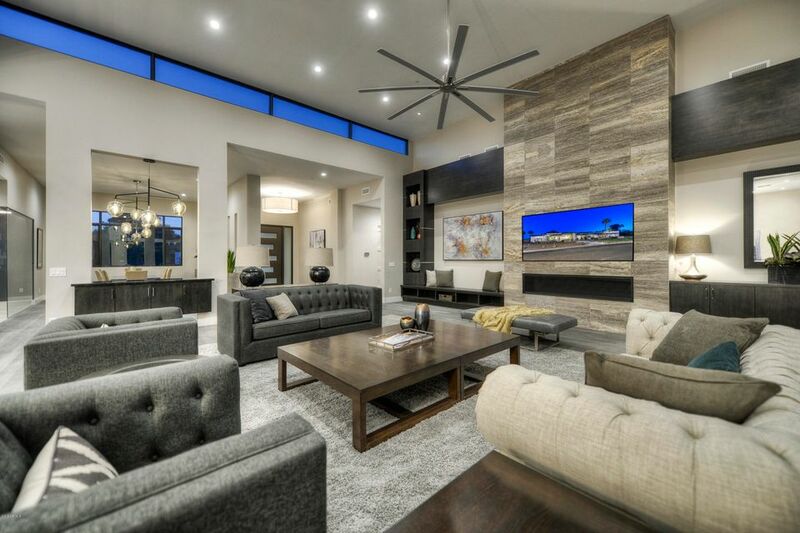 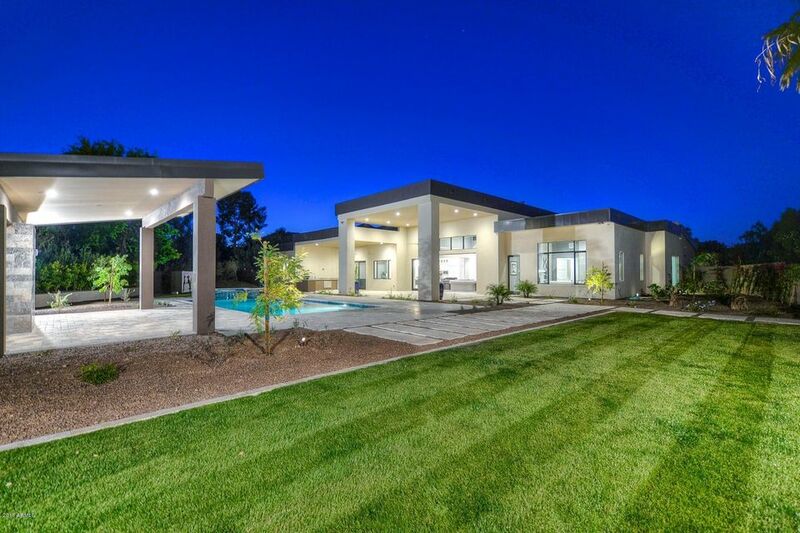 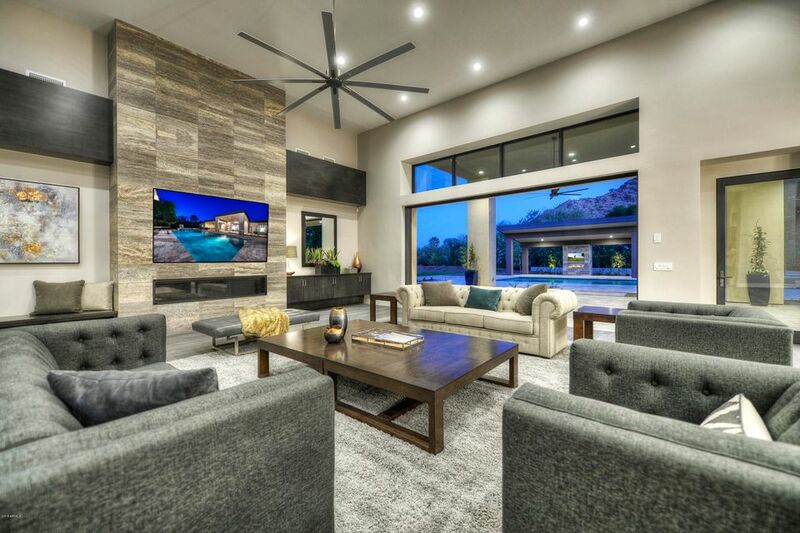 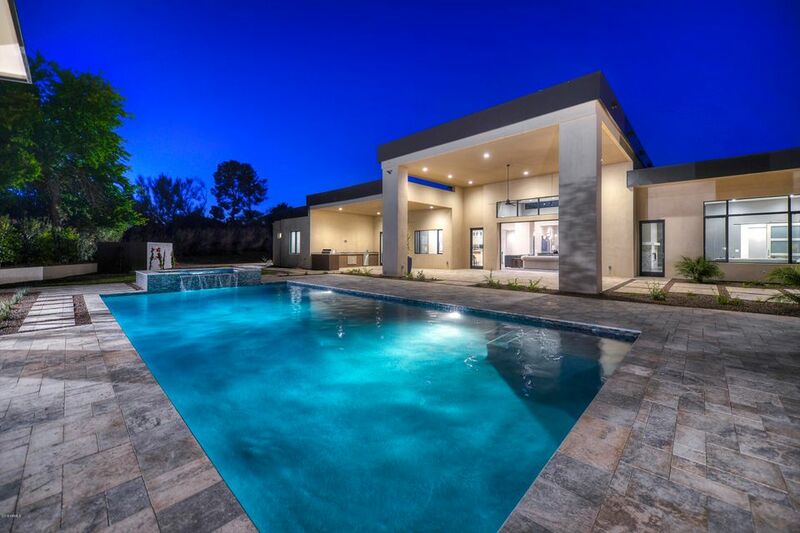 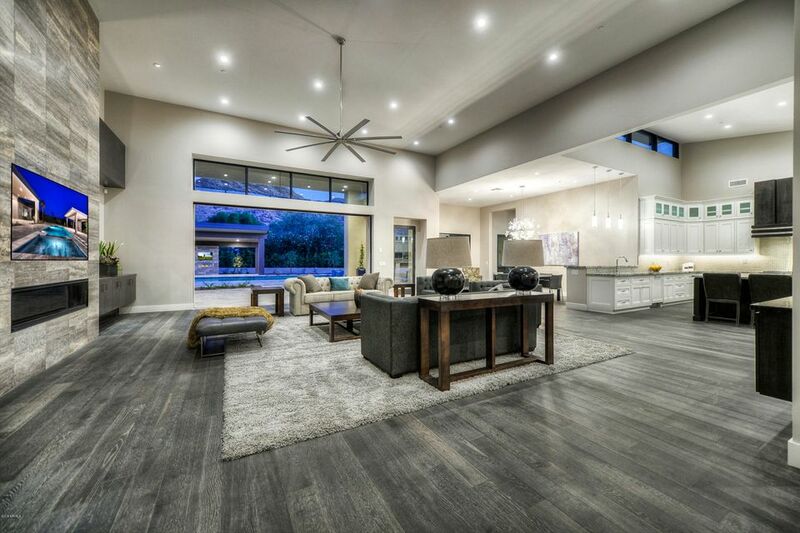 All new construction PV contemporary completed 2018 offers views to Mummy Mtn, a single level 6714sf open concept showcasing a great room with soaring ceilings, transom windows, fireplace, wine wall, and pocketing glass wall. 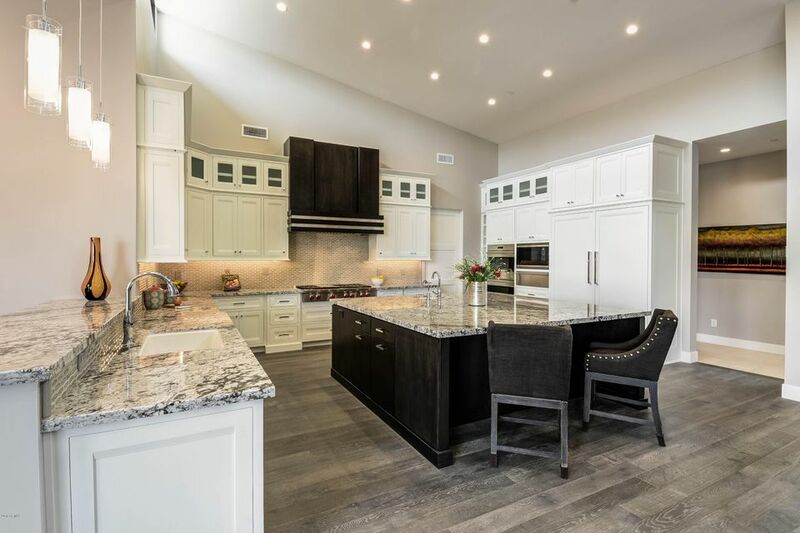 Large chefs kitchen to include Wolf/Subzero appliances, quartz slab countertops, hand crafted cabinetry, walk in pantry. 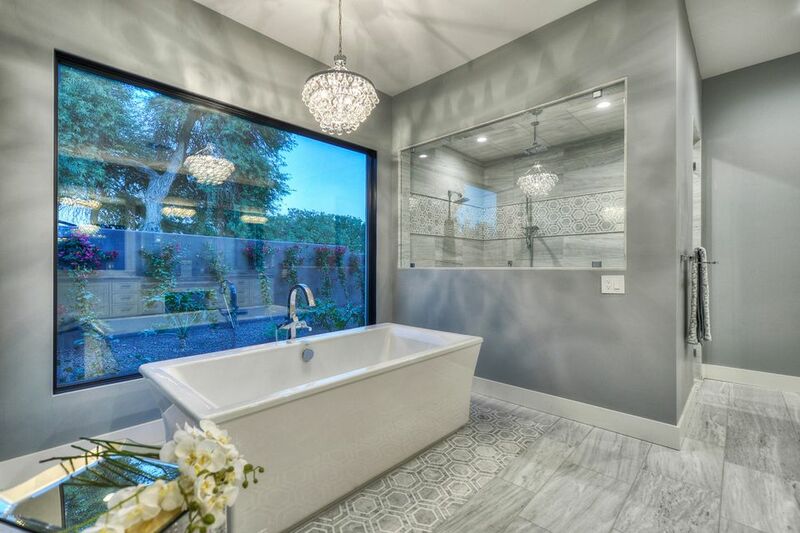 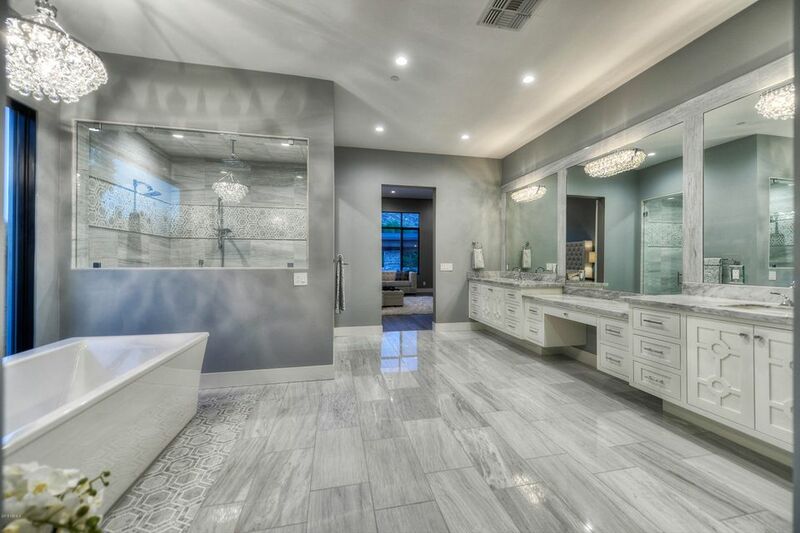 Master suite presents amazing views and spa like master bath with freestanding tub. 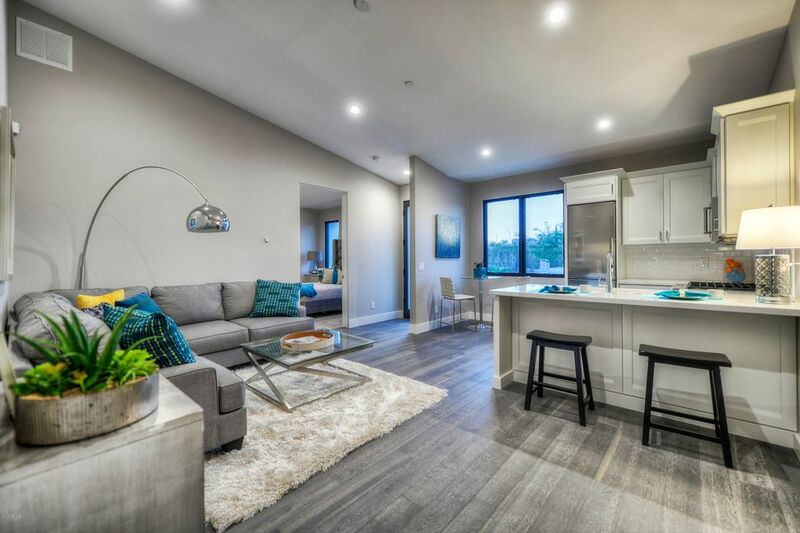 3 secondary ensuite bedrooms adjoin a separate flex room, ie: game/media/children's space. 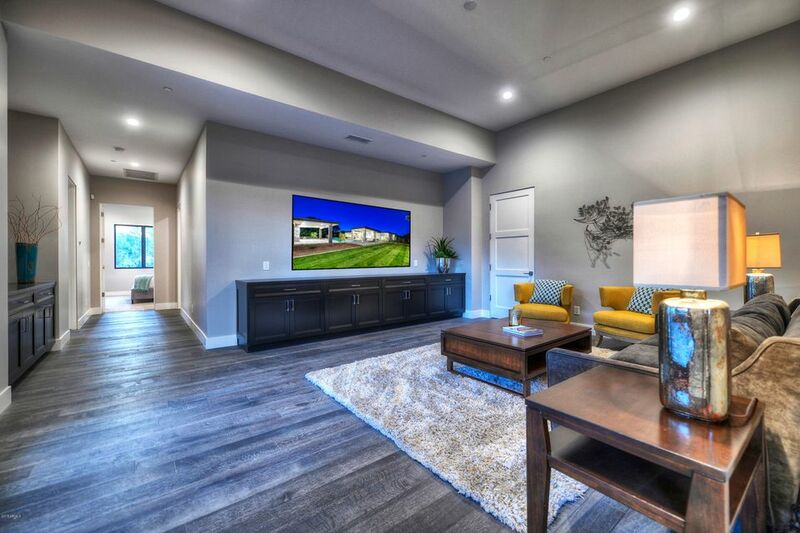 When guests arrive, show them to the guesthouse/suite with additional family room, full kitchen, bedroom and ensuite bath. 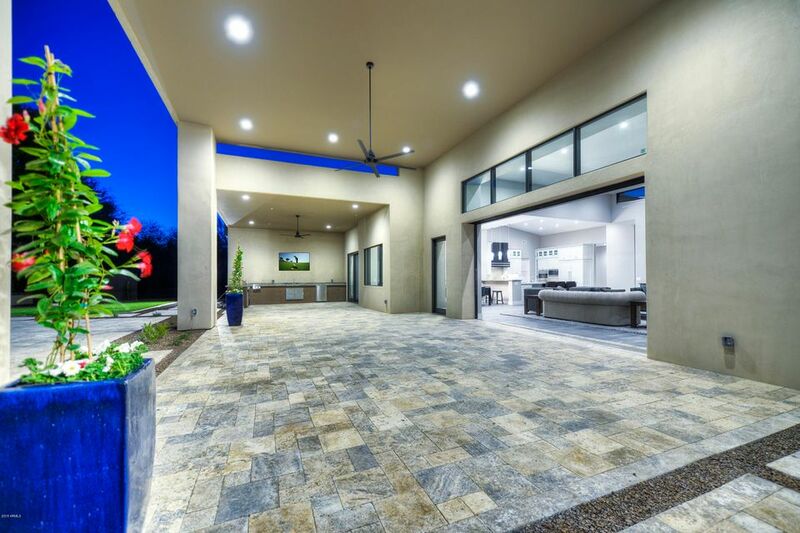 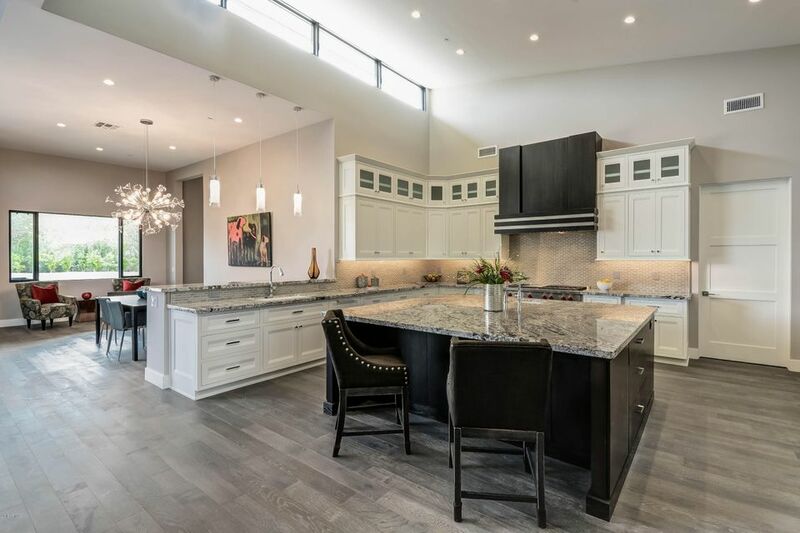 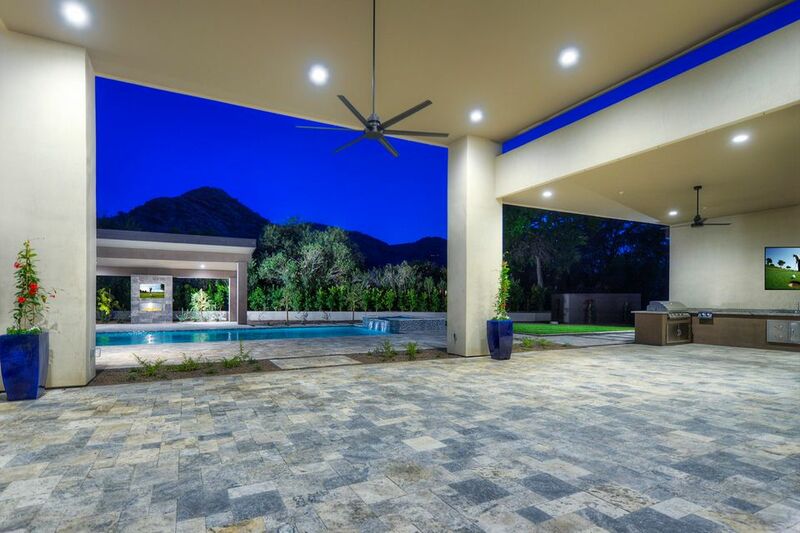 Exterior spaces include large covered patio/entertaining space, gazebo with fireplace, heated pool/spa, BBQ/outdoor kitchen, and generous landscaping.